At an early age, Juan “PaPo” Santiago suffered from selective mutism—he spoke only to immediate family, though he voraciously read anything he could get his hands on, including the boxes and cans in his abuelita’s kitchen. The experience of the mutism diagnosis in elementary school fostered Juan’s later interest in alternative education practices. Fearing he would not “snap out of it,” Juan’s teachers placed him in Special Education classes. He was skipped to third grade when it was discovered that the first grader was able to spell “hippopotamus,” uninstructed. It was the beginning of a life narrative defying expectations…and resisting through language. Born in Brooklyn to Puerto Rican parents transplanted from Bayamon and Arecibo, Juan is a Nuyorican poet, promoter, community organizer, and co-founder of La Sopa NYC (School of Poetic Arts), an alternative education program for poets, artists, and entrepreneurs. Both of his parents died tragically and separately in the 1980’s: his father due to a drunk driver, and his mother a victim of AIDS. His grandparents assumed legal guardianship over him and his brother to keep them from being wards of the state. As a way to deal with the losses in his life, Juan resonated with the works of Edgar Allen Poe, and he started writing poetry at the age of twelve. He was officially diagnosed with bipolar disorder at Montefiore Hospital in the Bronx, a condition which he continues to work through via the arts. As “PaPo Swiggity,” Juan was one of the first Latino personalities to go viral in the then-nascent world of social media, uniting gente across several Latino-focused new media brands, and bringing his personal style of social engagement to the corporate music and nightlife industries. But in 2006, the opportunity arose to engage his marketing and media savvy in empowering the community he came from. 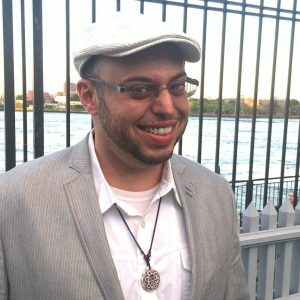 Juan partnered with George “Urban Jibaro” Torres, founder of Sofrito For Your Soul, to create Capicu Culture, a movable feast and community venture in the New York City art-activist realm, showcasing poets and performers in the tradition of the Nuyorican, Beat, and Black Arts movements. In addition to the long-running monthly showcase (which will celebrate its tenth anniversary on March 10), Capicu Culture’s work within the community is wide-ranging. In 2007, PaPo and George partnered with the Bushwick United Headstart program to develop a toys-for-tots initiative known as Pa’L Pueblo Charities; each year, they deliver toys to children in the schools with a team dressed up like Santa and his elves. In seven years, the program grew from one school to five, servicing 500 children in Bushwick annually. Knowing the psychological impact of being orphaned, PaPo partnered in 2009 with Orphans International, a global agency which seeks to empower orphanages and schools for the poor around the world. He held and facilitated fundraisers in NYC for their sites in the Caribbean, supporting hundreds of children. In 2010, he partnered with XMental Inc, a restorative justice program run in conjunction with the New York Department of Probation, to hold fundraisers to acquire school supplies for children in the NYC shelter system. But the heart of PaPo’s work has been the Capicu Cultural Showcase, which has served as a bulwark and platform against gentrification in Williamsburg, Brooklyn—a neighborhood with a rich history as the cradle of Nuyorican literature and Puerto Rican life, right across the East River from Loisaida. With ideological roots in Eddie Figueroa’s New Rican Village, and following the example of his poetry idol, Miguel Algarín, PaPo was responsible for the revival of a 1970’s-style poets’ corner. Capicu is a space where poets, comedians, visual artists, academics, neighborhood staples, and titeres from around the way and across the diaspora, can all come together, share work, be in community, organize, and dance in a shared environment, where everyone is equal, and where all are respected. In addition to serving as a place for community networking in a live setting, Capicu Culture and Sofrito For Your Soul leveraged the power of their own networks to create LatinoCommunity.info, an online resource for jobs specifically seeking bilingual Latino applicants. 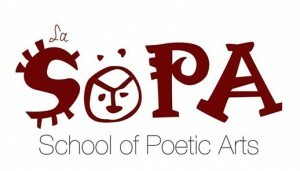 In the spirit of community building, PaPo linked with poet Jani Rose to create La Sopa, a workshop for poets and performers to hone their skill in a safe space, as well as to learn valuable skills for personal marketing and finance. Together with partners George Torres and poet Rich Villar, La Sopa’s collective vision is to establish itself as a world class alternative educative institution, one in which activism and art are taught at a price that is reachable for the community it serves. Juan has received citations for his community work from both the New York State Assembly (Citation of Merit, 2012 & 2016) and the New York City Council (Certificate of Recognition, 2013). He also received Comite Noviembre’s Lo Mejor De Nuestra Comunidad Award (2013), and the National Positive Impact Award from the Hispanicize conference (2014). Since the late 1990’s, PaPo has been featured as a performer at venues across the city, including the Nuyorican Poets Cafe, the Cornelia Street Cafe, and La Marqueta Retoña. Recently, he participated in events on behalf of Oscar López Rivera as well as the Librotraficante movement, battling the book ban in Tucson, Arizona. PaPo is currently working on his first book, entitled The Book of #Swiggityism, which will include poetry and essays on his experience as part of the Afro-Latino diaspora. Once upon a time, Juan Santiago was a young man without a voice. PaPo Swiggity went on to battle voicelessness. In his own right, he has become a major voice of the urban poet-activist generation, tuned in to the pulse of current trends in youth culture, art-for-change, and social justice projects in New York City. And he is one who has helped other poets, teachers, and organizers alike, find their voices as well. La Sopa begins its spring cycle on March 18th, at Boricua College’s Graham Avenue campus. PaPo will be teaching with Rich Villar and Jani Rose on the history of performance poetics, performance technique, show prep, and Nuyorican theater, among other topics. Saturdays, March 18th to April 29th from 10 am to 2 pm at Boricua College in Brooklyn.